How to get a toddler to sleep? Sleep consultant Natalie Ebrill answers. Before having my two boys Toby, aged eight and Leo, aged two, I thought sleep deprivation was related only to the newborn baby stage. In those early baby days with Leo, I prioritised caring for him and his big brother Toby. I wasn’t working out of the home or worrying about exercise and having a social life. It was challenging but my expectations were low. I napped when I could, and if I had a shower, a walk and a coffee; I considered this a very good day. Leo is no longer a helpless little baby, but he continues to wake at least once most nights. The difficulty now is that I am back at work and life is ‘back to normal’. Parents of toddlers translated… here’s what they really mean. Toby has homework to do and the dinner needs cooking. There are the daily drop-offs at school, pick-ups from day-care or after school activities. There are weekend social events and exercise classes or date nights. I am mostly a happy, functional human, but I am also constantly knackered. Natalie Ebrill, a registered child and family health nurse with over twenty years of experience, is also an infant sleep ‘detective’. She founded her child sleep consultancy business, Sleep and Settle to help tired families understand and solve sleep issues with practical solutions. She is also a busy mum of three daughters. I was eager to talk to Natalie about the many contributory factors that she believes explain why toddlers might sleep poorly. “A toddler’s exciting developmental stage will directly impact on their ability to go to sleep and stay asleep for the night. 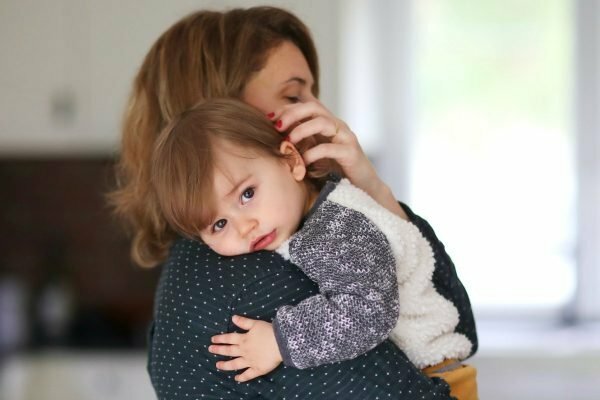 Toddlers are learning to verbalise and negotiate and they will try to delay bedtime by asking a million questions, demanding more attention or creating clever diversions that wear tired parents down at sleep time,” Natalie says. Aside from the developmental stage, Natalie believes factors such as diet and activity levels, play a role in how a toddler sleeps. “There is increasing evidence that food intolerances and allergies may affect sleep and behaviour. I encourage families to eat seasonally and healthily and avoid excessive amounts of preservatives, colours and flavours in processed foods. It seems that I am not alone in experiencing poor sleep thanks to a toddler. 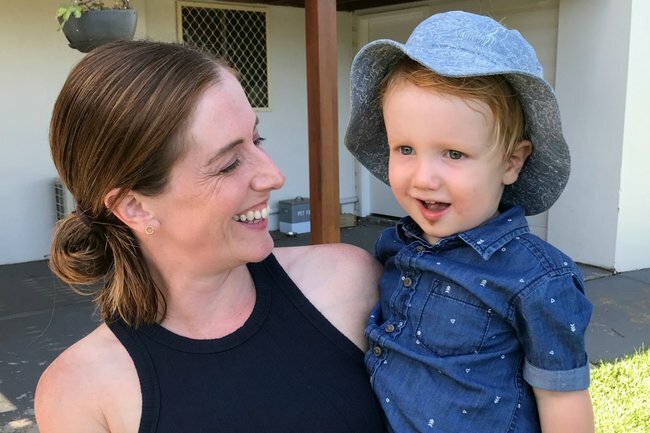 According to Natalie, her sleep deprived clients are 60 per cent parents to babies under 12-month-olds and 40 per cent parents to aged one – five-year-old infants. "It seems that I am not alone in experiencing poor sleep thanks to a toddler." Image: Supplied. She believes that each child has unique sleep requirements and that sometimes parents just need reassurance that what their child is doing is ‘normal for their age group’. “Some children have a high sleep requirement and some do not. Some children sleep for hours in the day and twelve hours at night. Some children from two years of age cannot have a day sleep, or it will interfere with their night sleep quota. “Often the issues in age groups are very similar and parents are really looking for a comfortable, confident plan to be consistent with. Parents are tired; toddlerhood can be an emotionally and physically demanding stage of parenting and there is information overload online. “It can be overwhelming to compare your children with others and overlook what&apos;s normal for your child. Sometimes the sleep issues are revealed to be the same experienced by one of the parents when they were a toddler and the grandparents call the toddler a &apos;payback baby&apos;! Otherwise there is usually a simple plan that involves the whole family so everyone can sleep well again,” she says. Natalie is resolute that a toddler who has ‘a fantastic settled day with a great routine, diet, play and consistency’, should sleep well at night. “I address all of the most common issues and decide on a holistic sleep strategy with the parents that they feel comfortable about and will follow through with. “Usually the sleep strategy involves being very boring; providing calm reassurance but not entertainment, being confident, consistent and persistent to help the toddler anticipate their day and night time and become more cooperative. I tell parents to use loving boundaries and consequences to help deter unwanted behaviour. You have to be the parent and stick with your plan,” says Natalie. For our family, we will continue to persevere in being consistent with Leo’s routine. We will cut back on overly processed snack foods and screen time and stay calm but firm. Hopefully the good sleep will return soon but for now, I’ll be going to bed as early as possible. If you are worried about your toddler’s sleeping habits or potential food intolerances, start by booking an appointment with your GP. Does your toddler sleep well? Are there any tips and tricks you swear by? We’d love to hear from you in the comments below.